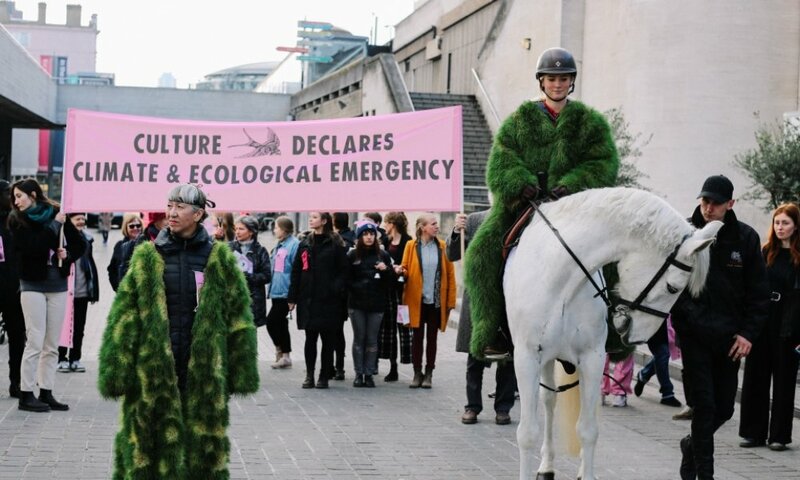 The Culture Declares Emergency movement launched with a curated and disruptive procession, stopping at institutions along the River Thames and setting off from Somerset House. Declarers including Somerset House, were Battersea Arts Centre, Cardboard Citizens, HOME, Lyric Hammersmith Theatre, London National Park City, Royal Court Theatre, Jerwood Arts, The Junction and Invisible Dust. 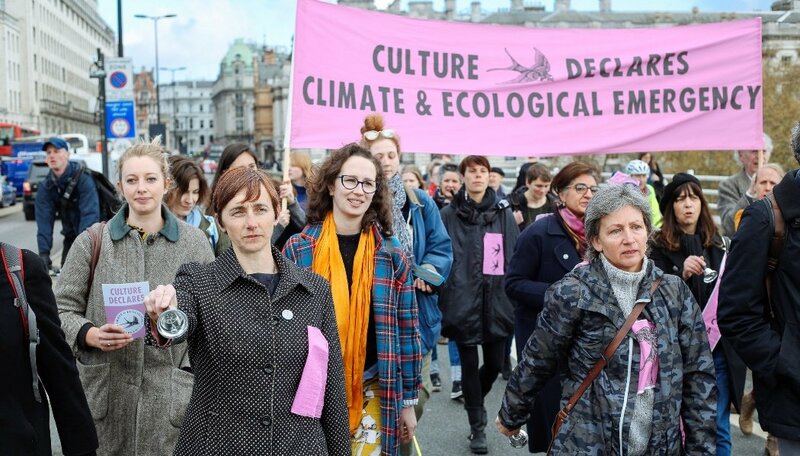 Inspired by Extinction Rebellion and School Strike For Climate, Culture Declares Emergency is organising a range of events in the run up to Extinction Rebellion’s International Rebellion, which begins Monday 15 April. Among the procession were ‘Heralds’ wearing living grass coats grown by visual artists Ackroyd & Harvey and carrying banners with names of declarers listed. A newly composed soundscape by Mira Calix featured in the ceremony of declarations of Planetary Emergency, as well as readings from selected ‘Letters To The Earth’, writings submitted by the general public for a nationwide cultural action, which is first project of Culture Declares to take place on Friday 12 April. These letters will be made rights free and available to download and present anywhere in the world from 15th – 28th April, coinciding with the International Extinction Rebellion and School Strike For Climate. Any organisation or cultural practitioner that would like to join the declaration can do so here.